Why? Blake has studied nutrition and holistic therapies since she was 18 years old and always wanted to share that with people. Her love for all things healthy led her to open up her own shop where she can help people in finding what they’re looking for. She was also a real estate broker at The East Village so having been involved in the community through real estate it made perfect sense for her to choose this location for Tiny Taiga. Tiny Taiga carries superfoods, teas, tonics, tinctures, essential oils, herbs, all natural body care, minerals, books, and gifts. It’s a mini feel good wonderland. Go and explore for yourself and meet the magical shoppe keeper who will help you find your remedy. Blake’s already done all the work for you so you don’t have to worry about that part. Go and discover, grab a book and sit by the fire, look at the paintings, smell and test some of the essential oils, and taste the teas. Don’t forget to spread the love and let all the good people around you know about Tiny Taiga because they deserve it too. Stop by and say hi! Check out Tiny Taiga on the web and like on FB! Why? When East Side Showroom, a restaurant, opened up years ago, the owner Miki and Sonya, the opening chef at the time met. They realized they always wanted a deli, saw this space and thought it would be perfect. Hillside Farmacy has had great success in that it’s only been open less than a year and they’re doing really well. Not to mention, Sonya, the owner and also the head chef has been recognized by multiple publications locally and nationally. However, she doesn’t let any of that get to her and she’s super sweet and humble. They serve everything from sandwiches, salads and soups to many other unique dishes. Next time you’re craving creative pairings of food, that you won’t find anywhere else around town, try this! Why? LaValle always wanted to have a small restaurant and never had the time to do it. Her favorite color is purple and she needed to tie it in with coffee so The Purple Bean Café was born. The Purple Bean Café was started by LaValle and her family in a small 12ft trailer. In just 6 months they out grew the little trailer and expanded to a bright yellow 30 footer. Then they out grew that. Now they’re located inside the Victory Grill. They serve sandwiches, coffee and baked goods. Check them out below! When? Started in March 2006. Why? Because he and his partner decided that it would be a good idea to open the only pizza place that delivered on the east side at the time. Michael himself is a baker so it only seemed natural. “We deliver pizza, that’s what we do” is their thing and Michael stands firmly behind that. This was my first stop on the east side but it certainly will not be the last time I go back to this place. He loaded me up with pizza slices and I was stuffed by the time we were done with the interview. They grow their own spices right outside and he buys his ingredients all from local farms. They also recycle as much as they can. He is definitely doing something right. Michael is such a nice guy and I only hope I come across friendly, warm-hearted and just all around really good people for the rest of my stops on my journey. One more thing…don’t forget to find them at all the places below! Why? Rhianna had her first massage when she was 15 years old and loved it! She was working at several papers throughout her lifetime and realized the fast paced lifestyle didn’t promote health in her life and for her child. After 3 children, she decided to change directions and become a yoga therapist. Rhianna offers therapeutic massage, structural bodywork, shiatsu and yoga at Namaste Therapies. She likes to give people personalized attention and make yoga fit each person. Not all moves are for everyone and the practice of yoga can be accustomed to any one individual. Rhianna wants to help people find ease, movement and balance within yoga with her oneness through wellness style of approach. 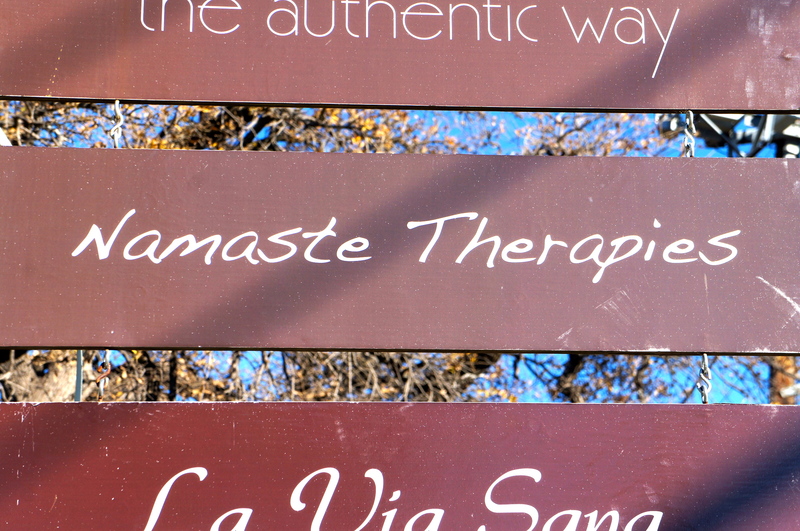 Make sure to check out Namaste Therapies and like her on Facebook! Why? Through personal experience of having to piece her life together after chronic illness and pain (read more about it here) Sarah has been able to help others live with similar situations. Having experienced illness at such a young age she started the healing path early on and has acquired loads of knowledge over time. Sarah helps others enjoy life and not be dependent on their circumstances. 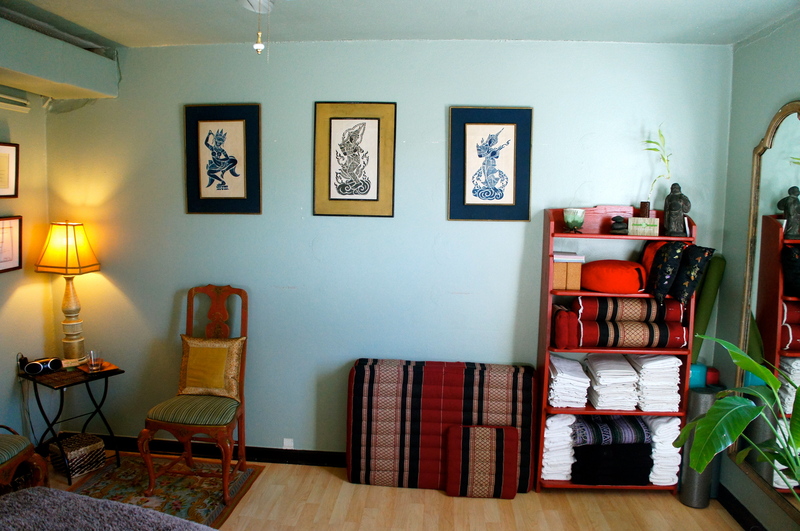 Integrate to Live is one of the many businesses located inside Soma Vida. 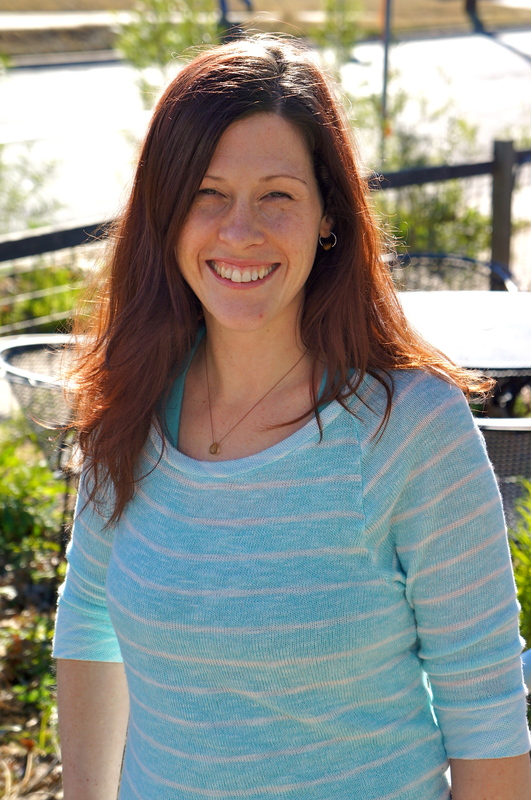 Sarah is a Certified Life Coach, Wellness Coach, Body-Mind Life Coach, licensed massage therapist, and is training toward the designation of Somatic Experiencing Practitioner, a body-centered psychotherapy. That’s a lot of things that one person can be certified in! To get more of a visual of Soma Vida check out my last post with Owner Laura Shook. Check out Integrate to Live on the web, like their FB page and follow Sarah on Twitter to find out more! Why? Steven and his wife Elsa wanted to bring yoga to all types of people. They noticed people were intimidated by yoga so as a result they wanted a local neighborhood feel that was inviting and warm. So they opened up Eastside Yoga! 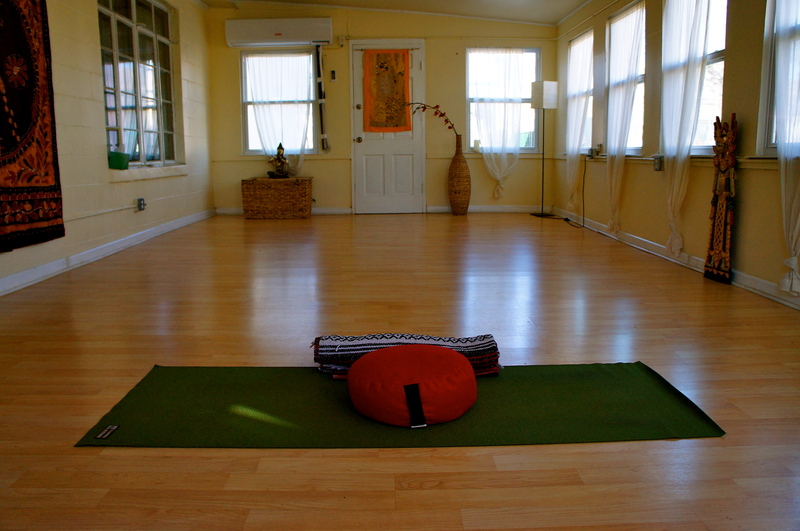 Steven gave me the 411 on yoga that I desperately needed. So yoga actually originated from India. The physical aspect of yoga is important but there is a deeper meaning and a whole way of life that is associated with this practice. Meditation is actually the same thing as yoga it’s just a deeper level of it. Thank you for enlightening me Steven! Make sure to check out their website and like them on FB! Why? Deanna has worked as a therapist since 1995. She gained a lot of experience and realized she always had the desire to own her own practice. She wanted to make sure it was in a studio. 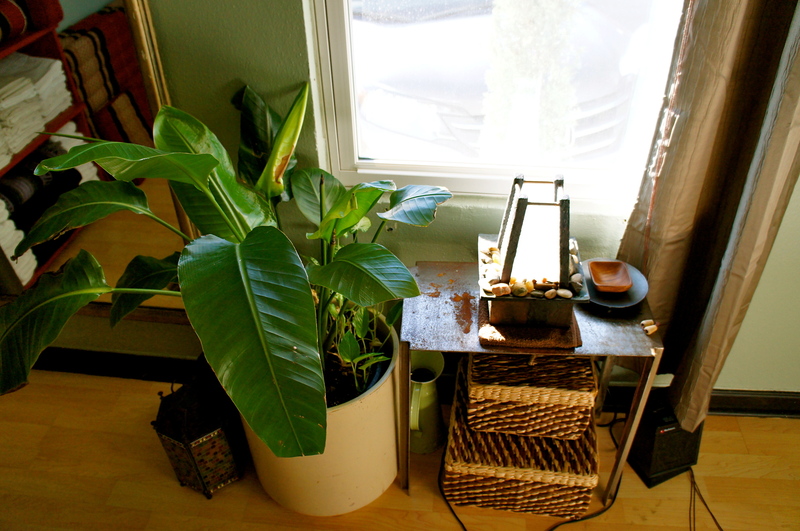 This space is comfy, cozy and provides a relaxing place for art therapy. Check out Art Therapy on the web and like them on FB! Why? Cathy’s goal is to introduce this new style of massage to Austin. 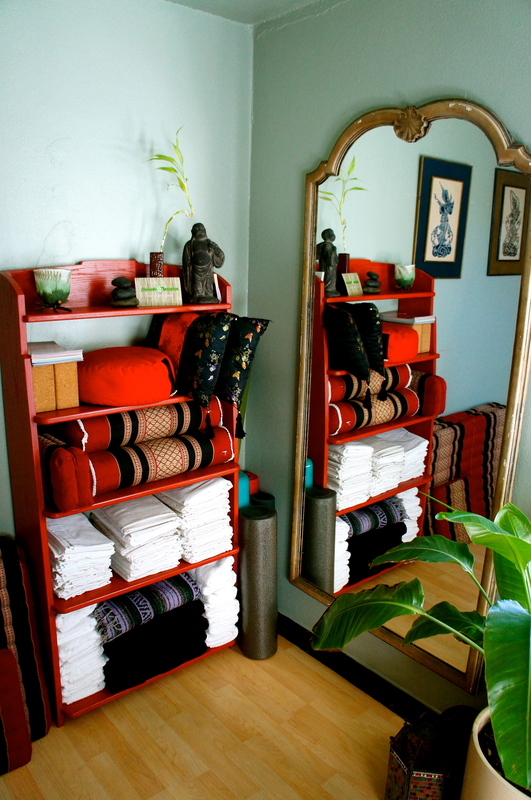 Ashiatsu is a deep tissue style of massage that uses the feet instead of the hands. Cathy is a licensed acupuncturist, massage therapist and herbalist who has been actively working in the healing field for 17 years. Ashiatsu is a Japanese word that means “foot pressure.” Check out Austin Ashiatsu on the web, like them on FB and follow them on Twitter!